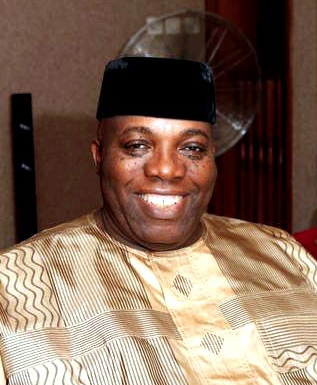 Editor's note: Dr. Doyin Okupe (@doyinokupe) Dr. Doyin Okupe is the Senior Special Assistant on Public Affairs to President Goodluck Jonathan of Nigeria and Social Media commentator, his opinion posts appears on various columns of news reportage, Twitter and Facebook in English. The opinions expressed in this commentary are solely his. The pictures however are credited to the respective publishers as obtained from Google. It has become necessary for us to respond to some blatant and obvious lies, delibrate and skillful misinformation contained in the lecture given by Governor Raji Fashola at the 50th Birthday Celebration of former Governor Timipriye. “this government had been inactive for 3 years and in the fourth year intends to give the electorate kerosene, price and money for the purpose of seeking their votes”. Nothing can be further from the truth than this. We admit that Governor Fashola may have been too occupied in Lagos and that may have narrowed his vision or precluded him from appreciating lofty developments by this administration all over the country. The Government of President Goodluck Jonathan, has never lied about its achievements, programmes, commitments and even challenges within the Nigerian context. The Government inherited a generating capacity of 2800MW, 10 comatose NIPP Projects, and an inefficient PHCN the privatisation of which, though central to effective power supply, was never the less seemingly unachievable. In three years, the Government has increased power generation to 5000MW with an installed capacity of 7000MW; which itself would have increased but for sabotage and vandalisation sponsored by the opposition. The PHCN was seamlessly and transparently privatised to the acclamation of global players. All the comatose NIPP projects have been completed and brought back to life and their initial problem of non-alignment with gas pipe line infrastructure has been corrected. Railways – which were comatose for 20 years have been revamped. Lagos-Kano lines have been opened and currently carries in excess of 5 Million passengers per annum from less than 1 million 4 years ago. Infrastucture – several thousands of our major economic arterial roads have been rehabilitated while more than 2000km of new roads constructed. Aviation – Virtually all our airports international and local have been comprehensively rehabilitated and refurbished. Agriculture – local food production has more than tripled. Food imports bill drastically reduced. We have increased local Rice Production from 1.5 million tons to 3.5 million tons. We have revived the rice milling in the country. We had 1 million 3 years ago. Today, we have 18. A recently commission mill in Nasarawa is the largest in Africa. Commerce and Industry – A new sugar masterplan is working. We will be self-sufficient in sugar production in 10 years. We a5re currently net exporter of cement. Housing – for the first time in Nigeria history, a Mortgage Refinancing Company has been formed and capitalized with $ 300m. This will allow low and middle income Nigerians to be able to access long term mortgage loan at cheap rates nationwide. Economy – we have maintained healthy economic indices in the last 3 years. We have successfully diversified the Nigeria economy. Latest figure shows that contribution from oil has significantly reduced. We are currently the largest economy in Africa and the 26th largest in the world. If we are able to maintain the current trend, we will be among the world top 20 in 10 years. On the issue of insurgency, the President has not lied to the people of Nigeria. Insurgency is a global phenomenon which has recently plagued the country. At its peak, it ravaged some 12 States in the North including Abuja. Today, because of the courage, resilience and capability of our Armed Forces and Security Agencies, we have pushed them to the fringes of the North Eastern parts of the country. There are still obvious challenges but Government is giving it the best attention and considerations possible. Recently, Foreign Allies including Britain, USA, France, Israel, China and Australia have arrived Nigeria soil and are co-operating with our Military to resolve especially the issue of the kidnap of the Chibok girls. These are the best global players and they have been with us for about 6 weeks. If the releasing of the girls was a tea-party, definitely, it should have been over by now. We have said it before and we will say it again, “yes, we know where the girls are but our approach at releasing them must be carefully weighed against their overall safety. It is a matter of National disgrace and shame that highly placed, and highly net worth individuals in the country will continue to politicise the Nations misfortunes and challenges not minding the deleterious and untoward demoralising effects this attitude have on our Military especially, the widows and innocent children of our Military heroes who die daily on the fields , defending their country”. On the issue of the purported missing $49bn, from the NNPC account. It is regrettable that even some of the best amongst us will in the name of politics will descend to the level of belligerent liars to continue to propagate a confirmed falsehood. Even the originator of this story has since changed the figures at least 3 times. From $49bn to $12bn and to $20bn. Yet, none has been substantiated. As Governor Fashola said, we shall all await the result of the independent forensic audit. Before I conclude, I want to say that we have no apologies for stating the obvious fact that this administration has surpassed all the others before it. We salute the great efforts of all our past leaders whose tireless and patriotic efforts have set the stage that has made it a lot easier and possible for President Jonathan to be so magnified. We do not disparage any of our great erstwhile leaders, but what we say is that President Jonathan operating on the solid building blocks erected by them has carried developments in Nigeria to global acclaim. In conclusion, what we see is that Governor Fashola left the putrid stench of alleged financial immorality and impropriety in Lagos where under his watch it is rumoured that private individuals have acquired more wealth that the State Government, and came to Abuja to give a satirical lecture pretending to be a catholic priest. We will not comment on the alleged massive exploitation of the Lagos Citizens in the name of provision of service; as exemplified by the Lekki Epe tolled Expressway, or the Lekki Osborne Bridge which is perhaps the most expensive bridge in the world; or the rehabilitation of previously existing Bourdillon Road at an indefensive cost to Lagos Taxpayers. Lastly, Governor Fashola failed to give credit where it is due. His colleague, Gov. Aregbesola has just won an election under the watch of President Jonathan, a PDP President. This is a phenomenon, critical and central to the survival of democracy in Nigeria, yet, neither Lagos nor APC controlled state has been able to demonstrate this culture of executive impartiality, where he who governs, restrains himself from the abuse of his power to emasculate political opponents. In Lagos, even where their own electoral officers pronounced victory for opposition, the Government behaving like a Brigand appropriates the victory to its party and damns the consequences. As we move closer to 2015, we appreciate that everybody gets into the election mode. But we caution that, falsehood, misinformation and pretence will not bring victory. Nigerians have become wiser and can therefore no longer be hood winked. On our part, let it be said here now, loud and clear, we are prepared. We are ready. We have performed and delivered on our mandate. We will resist liars and those who have in the past taken undue advantage of liberalism of the President to continue unabated to insult and put to ridicule the office of the President of Nigeria. We will welcome debates that are issue based and we will engage positively. But let me say it emphatically here, that we have the capacity, and we shall hold our own. We will never ever fail to respond promptly and appropriately, in the best interest of the Nigerian public, to those who thrive in falsehood and evil propaganda.